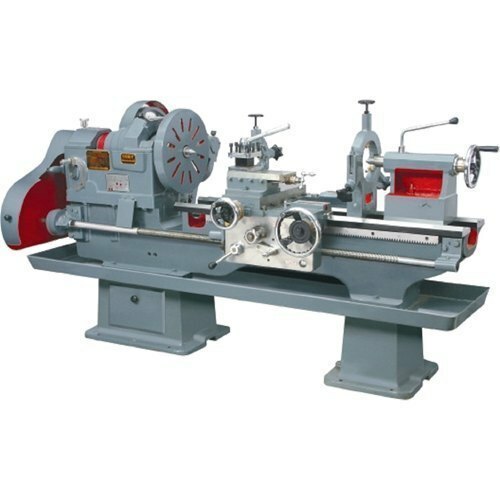 Owing to our proficiency in this domain, we are providing our clients an optimum range of Shimoga Type Heavy Duty Lathe Machine. Incorporated in the year 1991 at Bengaluru, Karnataka, we “Khanna Machinery Corporation” are a Partnership based firm, involved as the trader of Drilling Machine, Cutting Machine, Welding Machine, Electric Chain Saw and many more. We are quality based firm always apprehensive in providing best dominance tested products to our clients. Our quality analysts thoroughly examined the entire assortment on several quality parameters to ensure that there is no defect.